The spirit of the Law, as opposed to the letter of the Law, is what matters to God. It’s about heart, will, spirit, nature, or character, which is where the legalistic Pharisees went afoul. Not all people who keep the Law are righteous. And people who don’t keep the Law are not righteous. But all righteous people keep the Law—not flawlessly, but wholeheartedly in the Spirit of love and joy. Today, the debate rages on over how the Law, grace, atonement, and faith relate. It’s easy to get confused by apparent contradictions in Paul’s letters, or seeming conflict between Paul and Jesus. The incorrect premise is that through the cross, Jesus abolished the Law. But what he actually abolished, for the joy set before him, was spiritual Death. This act of grace on God’s part allows us to safely re-learn how to live in the goodness of His ways. But, according to Paul, the sinful mind opposes the Spirit and therefore does not, and cannot, correctly submit to God’s Law. Of course, the Law by itself won’t make you a good person any more than traffic rules will make you a good driver because no one, including God, can legislate morality. No law has transformative power. But spirit and intent does, including the spirit of God’s Law. Grace and faith don’t kill obedience, but rather, bring it to life, although God expects it to be child-like and clumsy at first. That’s okay, and in fact, necessary; and that’s good news! 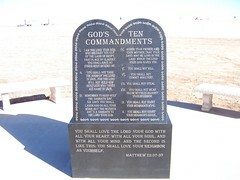 As I wrote in another post, and to shed light on the confusion, it’s important to first distinguish between secondary laws like clean vs. unclean food, tithing, circumcision, etc., and the Law, the Ten Commandments. Jesus boiled the Law down to two commands: Love God, and love your neighbor as yourself. Paul boiled it down to one: “The entire law is summed up in a single command: ‘Love your neighbor as yourself.’” (Gal. 5:14) And James put it this way: “If you really keep the royal law found in Scripture, ‘Love your neighbor as yourself,’ you are doing right.” (Jas. 2:8) All three men are quoting Leviticus 19:18, the Law of the Spirit and spirit of the Law. We should also assume Jesus to be the prime Expert on anything and everything. No Pharisee, priest, prophet, apostle, scholar, or institution overrides him; and he never cancelled the Law. So really, no amount of worship, confession, prayer, “belief,” bible study, speaking in tongues, or witnessing can honor the Lord if his Law is ignored because, according to him, “If you want life, obey the commandments.” (Mat. 19:17) Again, we’re looking at spirit, intent, and desire as opposed to a grim, outward image of compliance. With his fine intellect and wit, Jesus often addressed serious issues with a touch of sarcastic humor, aimed mostly at bombastic Pharisees who imposed heavy life-style burdens. He knew that neither heaven nor Earth would be disappearing anytime soon; so these remarks showed just how serious he was about the true Law, yet simultaneously told misguided Pharisees to lighten up. Heaven and Earth still haven’t gone away and everything is not yet accomplished. Therefore, if we’re to take Jesus seriously, we should understand that the Law remains in effect today. It’s silly to call him Lord if we’re going to disregard him, and even more ridiculous to pit the cross, the ultimate act of love, against the Law, the ultimate policy of love, both of which come from God who is love. So when Jesus says to keep the commandments, he doesn’t mean to go get circumcised and make a burnt offering, or be sure to stone your neighbors when they wrong you. He means to become a healthy person who happily thinks and carries out acts of love. Tomorrow (rather than next week), with these preliminaries in mind, Part 2 will look at what Paul has to say in the book of Romans. You might be as pleasantly surprised as I was that there’s less confusion than most of us have been taught. Spirit is the fundamental basis on which we relate to God because He is Spirit who intermingles with His physical creation. For mankind, spirit is the essence of personhood and life. Biblically, it’s synonymous with will and heart, which has a great deal to do with thoughts, feelings, and wishes. 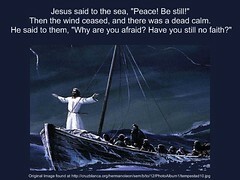 Paul reminds us that the mind of the Spirit is thriving life and peace, while the mind of the flesh is living death (Rom. 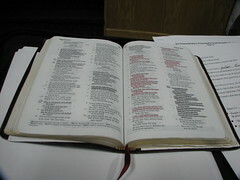 8:6). Like Jesus, he wanted people to understand that a physical-only orientation to our world cuts us off from “life to the fullest,” where we languish and die. Spirit occupies and affects the physical body, yet can’t be located anywhere specific within it. Spirit exists as distinct–co-mingling with physical matter but having independent power to think, choose, and affect it. This is true of the Holy Spirit as well as human spirit because it’s one form of energy. To use a mundane example, and the best one I’ve heard, the furniture arrangement in your house is your personal power to convey your thoughts regarding it. The furniture didn’t arrange itself under its own power. So the furniture is seen, while the spirit behind its placement is unseen yet just as “real.” My point is that the spiritual realm is the one in which we primarily live and move and have our being and power. It’s by spirit that you and I arrange our lives, good or bad. That doesn’t mean the physical world is nothing but evil, or something trivial we should try to ignore or escape. It simply means that spirit, thankfully, isn’t limited by it. This is why we can happily be in the world but not “of” the world—just as God is. Like morning dew, spirit regularly “condenses” into physical matter from seemingly nothing. Biblical examples are manna from heaven, food for 5,000 hungry people on a remote hillside, the burning bush, and even God’s Word itself becoming flesh, to name just a few from the Old and New Testaments. This sort of thing continues even today, though I think we’d hear more about it in Western society if people weren’t afraid of being dismissed as crazy. In our unbalanced, collective mind of the flesh, we’ve learned to ignore the spiritual “radar” we’re equipped with. Jesus, the Lord of science, energy, spirit, and matter, reveals God’s world of ceaseless spirit and undying power. He, of course, could walk on water, speak to a raging storm, turn water into wine, or fill an empty net to the breaking point with fish. He could, at will, lay down his life and pick it up again because he is, simply, the Master of life and the Master of death. Yet, even among Christian pastors and laypeople alike, it’s amazing how many today believe that God no longer speaks or manifests Himself in person, and His only communication with us is limited to the Bible. In this view, encounters with spirit are either imagination or strictly from the devil. Little wonder, then, that they describe relationship with God as difficult and live rather stunted life-styles empty of joy, energy, strength, and grace. Faith is being certain of what we don’t always see with physical eyes. We walk and act by faith because we can know God’s Spirit and His world of both seen and unseen reality. Undoubtedly, this is what Jesus has in mind when he teaches and corrects the crowds. He aims to prepare and restore the spirit’s sense of place with God, the place of human rightness, pervasive love, and sound well-being. And even in the ages to come after that, we won’t live in a strange, disembodied world devoid of physical matter. We’ll live in physical, resurrected bodies on a physical, refreshed Earth with familiar animals, plant life, rivers, oceans, and cosmic heavenly bodies. Moreover, we’ll judge angels which, presumably, would involve some kind of interaction (1Cor. 6:3). Thus, as we practice and grow increasingly “in step” with God’s spirit-saturated world, learning to thrive in it free of darkness and doubt, we become complete, or, “fit” and “perfect.” In fact, we’re created to rule in it, to reign with Christ, the Master of life. As Peter phrased it, we become partakers of the divine nature (2Pet. 1:4). As Paul phrased it, how much more “will we reign in life” through Christ (Rom. 5:17). Therefore, it’s vital to see and become fluent in the world Christ presents, for it’s where we live now and eternally. He invites us fully into the environment God created for us; and spiritual formation in Christ enables us to celebrate with God, angels, and other spirit beings that even now, the earth is full of His glory (Isa. 6:3). It’s about some Evangelical groups who frequently tout natural disasters as being God’s punishment for wicked cities and nations, but are now silent about the Colorado wildfires raging through their own HQ neighborhood. I like reading Relevant’s blogs and articles, but even better, I like reading the comments. You can keep your finger on the pulse of Western Christianity and learn a lot about what rank-and-file Christians think. From time to time, I add my own comments. Sometimes, I love what other readers say. Other times, I’m shocked. There are Christians who seem to be as lost and even more confused than the non-Christian world (not that I have all the answers or that those who don’t agree with me are automatically “lost”). Sometimes I want to reach out to them with a reply comment, but then realize it would take an entire book to help or make any sense. So I keep my remarks to myself, and usually, say a little prayer. But I’ve written that book. It’s currently in the hands of an editor, which is turning out to be a surprisingly slow process. No wonder. The manuscript is just under 400 book-size pages. It might even end up as two books—we’ll have to see how it goes. So I can’t put all that in a blog comment no matter how well-intended I am. Yet a too-short remark would only encourage flaming arguments, and there’s plenty of that going on already. On a happier note, I hope my fellow Americans enjoy a safe 4th of July. (My understanding is that some of Colorado Springs has cancelled their fireworks displays, for obvious reasons.) Those of us who aren’t dealing with wildfires can pray for those who are—not just the victims, but the firefighters and other workers who put their time and lives on the line. For those in a position to do more, there are numerous ways to help with donations of money, supplies, or animal rescue-related concerns. People helping people, Christian or otherwise, is neighbor love in action that contributes to God’s good and the living kingdom of heaven around us. I didn’t always think so, but I know now that’s the best fire to spread and the greatest fireworks display in which to engage and celebrate, especially in the midst of disaster. What’s your take on the Relevant Magazine article and/or the reader comments?